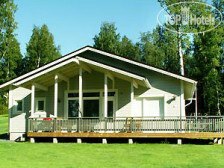 Palausniemi 5* (Финляндия/Южная Карелия/Иматра). Вопросы отеля. Рейтинг отелей и гостиниц мира - TopHotels. Good afternoon, dear Dar'ya! Thank you for your attention to our hotel. In response to your request we want to inform you that we need your full details: surname and name of all the tourists, reservation number. We will be glad to help you. Sincerely, Assistant of TopHotels.ru (answer provided by Services Reception of Hotel Palausniemi).